Discover a century of the past at this 160-acre living history center. Each day is dedicated to celebrating and preserving the history of the Old West from 1820 to 1920. This living-history attraction offers hands-on learning experiences as you visit with Native Americans, mountain men, and pioneers dressed in period costume. 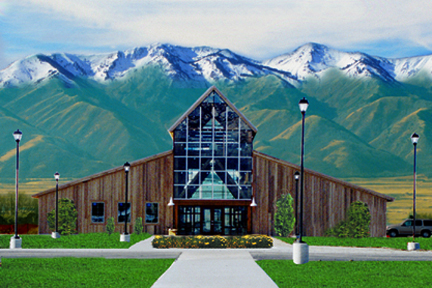 Visit their welcome center featuring historical exhibits, spacious restroom facilities, and a spectacular view of the Wellsville Mountains. Celebrate a part of our Western history with special events such as Baby Animal Day and Fall Harvest Festival. The Cache DUP Museum has artifacts, pictures, and histories of the early settlers of Cache Valley. Learn about the pioneers, see how they lived and connect with the past. Jun-Aug Tues.-Fri. 11 a.m.-5 p.m. & Sat. 10 a.m.-1 p.m./Sept-May Wed. & Thurs. 11 a.m.-5 p.m./Closed Thanksgiving-New Years Day/Other times by app. 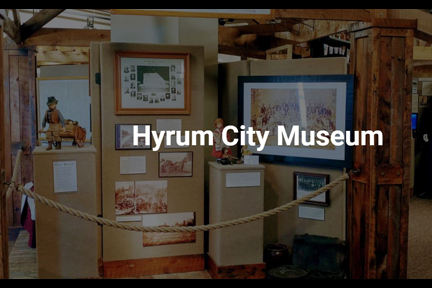 The exhibits at the Hyrum City Museum demonstrate a dynamic view of southern Cache Valley from prehistoric Lake Bonneville and it's earliest inhabitants to the mid-twentieth century. 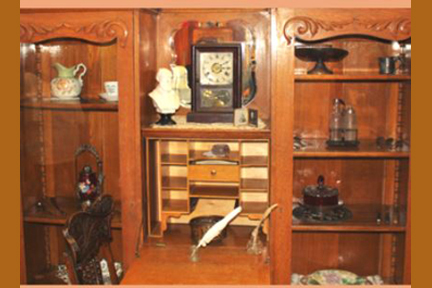 Our collections focus on the stories told by the artifacts, the places, the people and cultures of the area. Additionally, we run several monthly programs to engage individuals both with their own heritage and with the history, customs, and environment of their community. See more than 237,000 plant specimens and photos, about half of which are from the Intermountain Region. Short tours of the herbarium are available on request. Mon. - Fri. / 8 a.m. - 5 p.m. This teaching museum features exhibits on the early inhabitants of the Great Basin and other regions around the world, including Polynesia. Check website for special "Saturday at the Museum" programs. 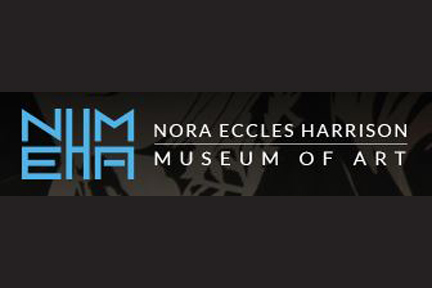 The Nora Eccles Harrison Museum of Art is dedicated to collecting, preserving, and exhibiting modern and contemporary visual art. We promote dialogue about ideas that are fundamentally important to contemporary society and we provide crucial support for the educational mission of the Caine College of the Arts and Utah State University. The museum has one of the largest permanent collections in the Intermountain Region, changing exhibits, nationally known ceramics, and Native American artwork. Tuesday - Saturday; 10 a.m. - 5 p.m. The Geology Museum has exhibits of meteorites, rocks, minerals and fossils – including invertebrates, vertebrates and plants. The Geology of Utah and the Logan area is emphasized. We also have excellent examples of fossils from the world famous Green River Formation in eastern Utah and southwestern Wyoming. Children under the age of 15 must be accompanied by a parent or teacher. All backpacks and book bags must be left outside of the museum. Features historical documents, photographs, and the skull of the giant grizzly bear Old Ephraim.